The iTV, iRadio, and now iWatch. Apple rumors never sleep, and the latest batch of reports reveal that the folks in Cupertino are working on the future of wearable technology, externally dubbed “iWatch.” Little is known about the device, other than it is being designed for the wrist with a curved glass display. 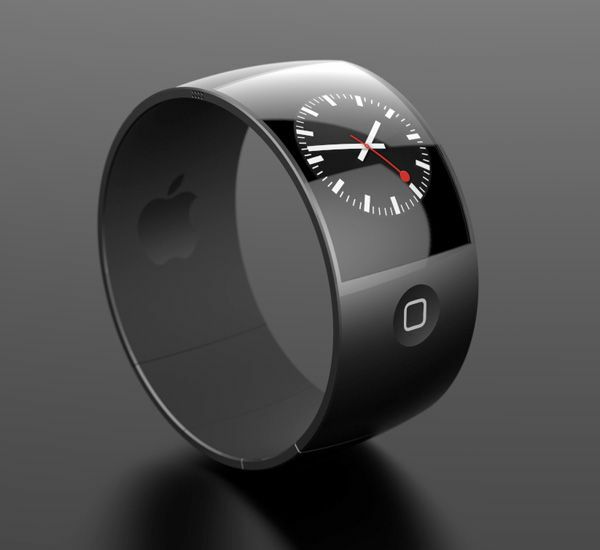 Since iWatch rumors started re-gaining momentum in recent weeks, many have been speculating about how such a device would work. The above concept comes from The Guardian’s Observer. 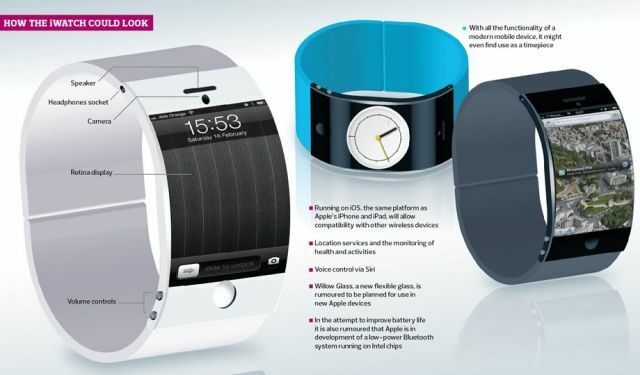 While the rendering of the iWatch itself is rather crude, the concept does nail the rumored feature set: Siri, Corning’s curved Willow Glass, health monitoring, and direct connectivity with other iOS devices. The graphic also mentions the possibility of a low-power Bluetooth system for charging that would be developed in collaboration with Intel. Last year it was rumored that Apple was working closely with Intel on a smartwatch. The Observer’s article raises a lot of good points, including a general picture of the smartwatch landscape. Nike’s FuelBand is very popular for health tracking, and Apple CEO Tim Cook is a member of Nike’s board. He is frequently seen sporting a FuelBand in public. Instead of taking the more sci-fi approach of Google with hi-tech glasses, The New York Times has argued that Apple will release a wearable computer for the wrist first. It makes sense; the human wrist is the most natural point of entry to popularize wearable tech. People have been using digital watches and health trackers on their wrists for years. Sleek and minimal—just the way Apple likes it. 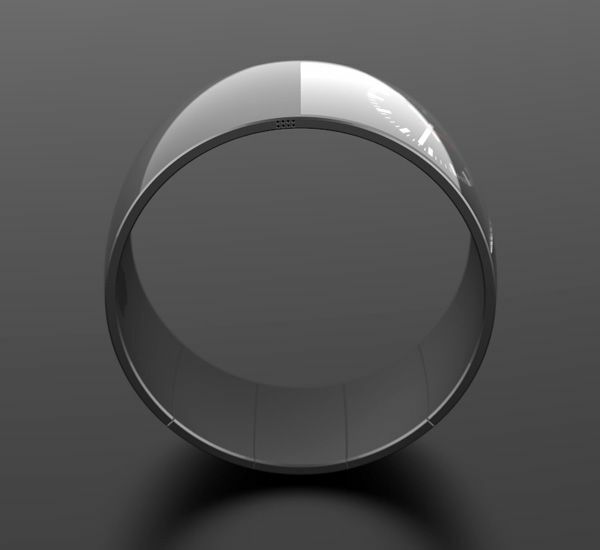 Another iWatch concept by Esben Oxholm looks a little more refined. It features a matte, solid strap of lightweight metal with a glass covering. Corning’s next-gen Willow glass is not only bendable, but very scratch resistant. The interior strap is made of rubber to keep the iWatch from slipping. The analog watch face Apple has used in other interfaces is pictured. Previous concepts looked appealing at the time, but they didn’t factor in how curved glass would affect the design of an iWatch. The above concept from Oxholm is one of the most accurate we’ve seen yet. Siri will be accompanied by touch, of course, with touch handling the lighter tasks, Siri the more complex. There will be overlap, so you can use more complex touch maneuvers when you can’t speak to your watch, during a meeting perhaps or when there’s a lot of ambient noise. Many people will never learn the more complex maneuvers, nor will they need to as the iPhone, iPad, and Mac will offer simple alternative interfaces to the more complex tasks. It’s hard to imagine that Apple would merely integrate an existing accessory into a new iPod. Sales of the iPod proper are decelerating, so the iPod-as-iWatch could give the line a much needed boost, but it’s difficult to reconcile the rumors of “100 people” working on the project if it’s just a retrofit job. Is Apple working on an iWatch that can be experienced as an Even More Personal personal computer — an “intimate computer”? If so, many questions arise: user interface, sensors, iOS version, new types of apps, connection with other iDevices… And, of course price. This would be much more interesting than the perennially in-the-future Apple TV set. Of course, iWatch and Apple TV aren’t necessarily mutually exclusive. It’s not a question of if Apple will release something like an iWatch, but a matter of when. Nothing in the rumor mill points to Apple entering production overseas anytime soon. With Google Glasses slated to ship in 2014, the iWatch may still be years away.